It is an attractive looking theme designed for doctors, dentists, hospitals, health clinics, surgeons and other type of health and medical businesses. It offers responsive layout and special features to manage services, doctors, gallery, testimonials, FAQs, news posts and pages. HealthPress theme has comprehensive set of theme options that are easy to use and empower you to customize the things around your website the way you want. HealthPress theme also provides support for Revolution Slider plugin and it is included as part of the packages. So, you can unleash your creativity and customize the slider the way you want. This theme has a fully responsive layout. So, Your site will look awesome on big screens as well as on tablets and smartphones. This theme is fully hand coded keeping in mind your site's good ranking on search engines. The primary contents are above the secondary contents and various widgets in sidebar and footer provide very good internal site linking. HealthPress theme is translation ready and you can translate it to any LTR language without the help of any plugin. But if you want to build a multi language website then you can use WPML plugin to achieve that. This theme comes with full support for child themes and one sample child theme is included as part of the package. HealthPress theme provides one click demo import feature to help you quickly setup your site like the theme demo and learn all the things by observing how those are done on demo site. So, What are you waiting for? 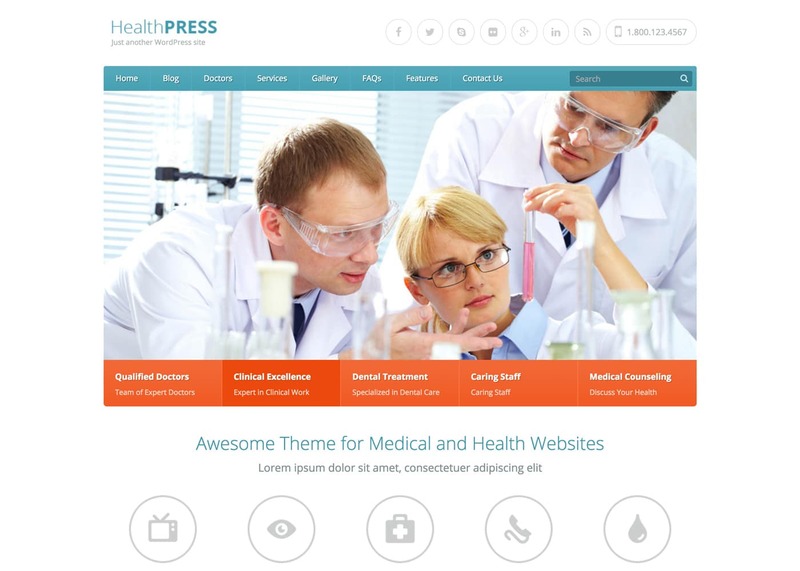 Install HealthPress and take your website to next level. Unable to find the feature you are looking for ? Let us know about it and we will consider it for future updates. © 2019 InspiryThemes, All rights reserved.